Welcome to Knucklehead Garage! This is a brand new series where we choose project vehicles. Build them start to finish, and show you every step along the way. Then we take the vehicles for the ultimate test drive. So buckle up and let’s get to it with Project LSk5! Project LSK5 is a 1978 K5 Chevy Blazer 4×4. The goal of this build is a budget-minded, street-able trail rig. 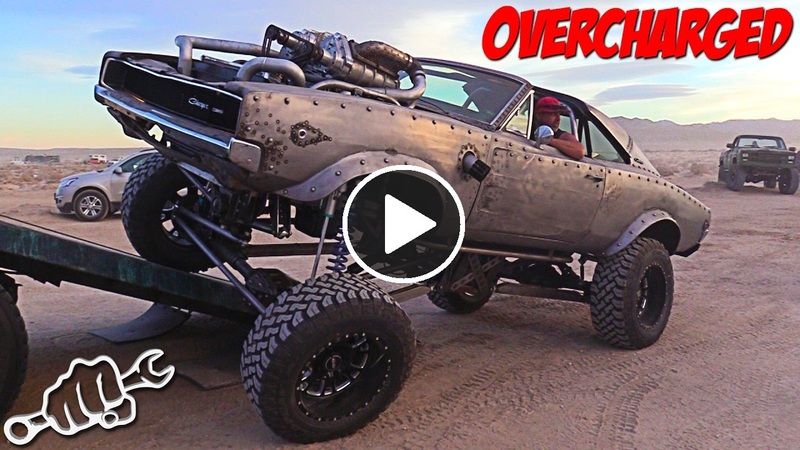 Carter Astin (aka everyone’s favorite Ginger and Camera Man) has a history with this rig and decided to build it into a capable off road vehicle while still having (somewhat) decent road manners. It was his Dad’s truck and has been stored away in a barn for years before Carter decided to Rescue it. As the name suggests, we’ll be doing a full modern LS drivetrain swap on this rig, so stay tuned! On this episode, we’ll be tackling the suspension and axles on our K5 Blazer Build. We’re putting a set of 1 ton axles under the truck and suspending it with a 52/56″ leaf spring swap. DIY4X helped out big time with the k5 1 ton axle swap. You should really check out their parts site. Let us know what you think in the comments below! And don’t forget to let us know what LS powertrain you would like to see in our K5 Blazer Off Road Build. The end goal of this rig is the ultimate wheeling road trip. We will be driving this vehicle all the way from Alabama to Utah. Wheel it for a few days at a big K5 Blazer event. Then drive it all the way home. What do you all think of that and the new series? Let us know in the comments. Stay tuned for the next episode of Knucklehead Garage where we tear out this old drivetrain and make room for the new LS! If you think that is cool. Be sure to check out this Charger Build.